You are new to the Texas ABLE® Program and would like to open an account for the first time. 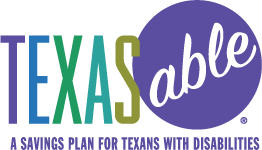 You already have an account with Texas ABLE® and would like to register for online access. Already registered for online access? Log in with your User ID. The Texas ABLE® Program is established and maintained by the Texas Prepaid Higher Education Tuition Board. NorthStar Financial Services Group, LLC (''NorthStar'') is the program manager and the Program is distributed by NorthStar affiliate Northern Lights Distributors, LLC and administered by NorthStar affiliate Gemini Fund Services, LLC. No part of an account, the principal invested, nor any investment return is insured or guaranteed by the state of Texas, the Texas Prepaid Higher Education Tuition Board, any other state or federal governmental agency or NorthStar or its subsidiaries or affiliates. An account might not make money and could lose money (including the principal invested) if money is invested in the Program. Interests in the Program have not been registered with the U.S. Securities and Exchange Commission or with any state. Investments in the Program are not deposits or other obligations of any depository institution. And, other than the Bank Savings Account Option, accounts are not insured or guaranteed by the FDIC. As stated in the current Program Disclosure Statement and Participation Agreement, total asset-based fees for the investment options range from .25% -.65%. Additional fees apply. Fees are subject to change. Accounts in the Program have not been registered with the U.S. Securities and Exchange Commission or with any state securities commission pursuant to exemptions from registration available for securities issued by a public agency or instrumentality of a state. Before investing in the Program, investors should carefully consider the federal and state tax consequences, possible negative effects on eligibility for federal or state benefits, possible Medicaid recapture, investment objectives, risks, administrative fees, service and other charges and expenses associated with the Program. The Program Disclosure Statement and Participation Agreement contains this and other information about the Program, and may be obtained by visiting www.TexasABLE.org or calling 1-844-4TX-ABLE (1-844-489-2253). Investors should read the Program Disclosure Statement and Participation Agreement carefully before investing. "Texas ABLE" is a service mark of the Texas Prepaid Higher Education Tuition Board. All rights reserved. Comments or complaints may be forwarded to the following address or by calling the following number: Prepaid Higher Education Tuition Program, Office of the Comptroller of Public Accounts, P.O. Box 13407, Austin, Texas 78711-3407, 1-512-936-2064. ©Copyright Texas ABLE Program. All rights reserved.